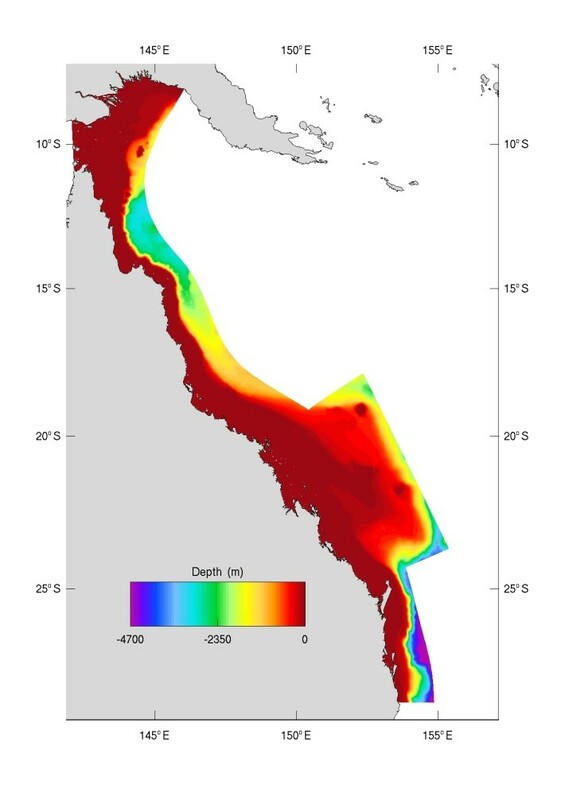 The 1 km resolution model (GBR1 shelf model) is nested within the 4 km model (GBR4) and began routine operation in December 2014. The 1 km grid (GBR1) is extremely large, with 510 x 2390 cells, including 48 vertical layers with 1 m resolution at the surface. As of 1st February 2016 the 1 km biogeochemical configuration (GBR1) had been run from December 2014 until March 2015.